ASOS JASPER Chunky Lace Up Espadrilles Natural. 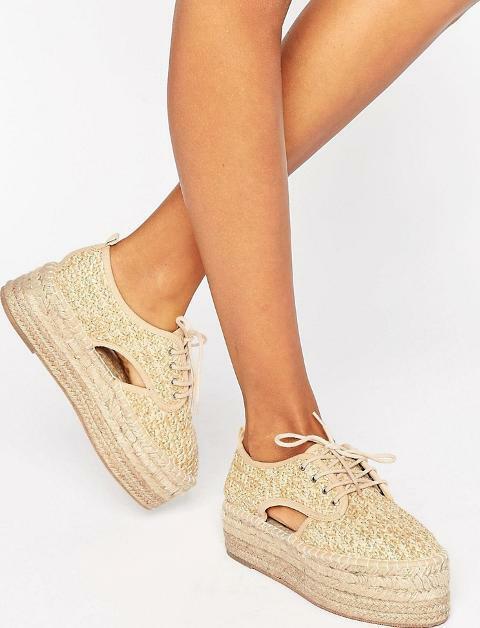 Espadrilles by ASOS Collection, Woven textile upper, Lace up fastening, Cut out sides, Woven midsole, Textured sole, Wipe with a damp cloth, 100 Textile Upper. ABOUT ASOS COLLECTION Score a wardrobe win no matter the dress code with our ASOS Collection own label collection. From polished prom to the after party, our London based design team scour the globe to nail your new season fashion goals with need right now dresses, outerwear, shoes and denim in the coolest shapes and fits.